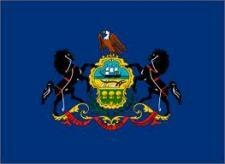 List of Pennsylvania schools offering degree programs in nursing, RN-to-BSN, RN-to-MSN, LPN, CNA, and more. Pennsylvania nursing schools are an important part of the healthcare system in a state that has played an essential role throughout the history of the United States. Between Gettysburg, Valley Forge, and other landmarks, you can feel the heartbeat of America on every street of the Keystone State. Philadelphia, the largest city in the state, is where the Declaration of Independence was signed; York served as the first capital of the U.S.; and even the U.S. Constitution was written in Pennsylvania.